Satisfied with the outcome, Attorney General Claude Earl Walker said his office will continue the aggressive campaign it has launched to rid the streets of guns. 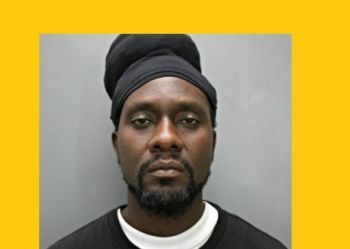 “He’s exactly the kind of person that needs to be off the streets of St Thomas,” Mr Walker said, referring to Mr Emanuel’s criminal history, which spans for more than a decade. USVI Superior Court Judge Michael Dunston handed down the sentence on March 6, 2017, almost a month and a half after a jury found the 39-year-old Kronprindsens Gade man guilty of one count each of unauthorised possession of a firearm with obliterated identification marks and unauthorised possession of a firearm. Prosecutors had recommended a 20-year prison term for Mr Emanuel. Judge Dunston, however, sentenced Mr Emanuel to 15 years without parole for unauthorised possession of a firearm with obliterated identification marks and two years and six months for unauthorized possession of a firearm. Both sentences are to run concurrently. On January 19, a 12-member jury unanimously convicted Mr Emanuel of the two counts, following a day of testimony and about three hours of deliberation. According to the evidence presented at trial, officers of the Operation Restore Calm Task Force were patrolling the downtown area of Wimmelskaft Gade when they noticed a night club open after its normal operating hours. The officers went into the nightclub to investigate and in speaking to the manager, they noticed Mr. Emanuel sitting in a corner and acting nervously. Mr. Emanuel resembled a suspect whom police were on the lookout for. Later outside the club, police officers stopped Mr. Emanuel as he was getting into a vehicle and asked him if he has anything in his pockets. Mr. Emanuel told the officers he had a gun, which officers found inside a sock. He was subsequently arrested on weapons charges. Mr Emanuel’s run-in with the law dates as far back as 1997 and includes at least six gun-related charges. The case was prosecuted by Assistant Attorney General Eugene James Connor, Jr. Some classic Tola clown behind a screen smh lol check Gus rap sheet and know why he got straight 15 no parole. But these so called SOB and other jesters laughable rats you praise. See what I telling you all. All the crimes by these dudes with dread. That's because they ain't no dread at all. Bunch of fakers. And is so the hair schooling them. U need a haircut faker!!! Take off that black cap, and remove those extensions. GOOD! Glad he was caught! Do you know how much damage would have been dealt to innocent people? G O O D !